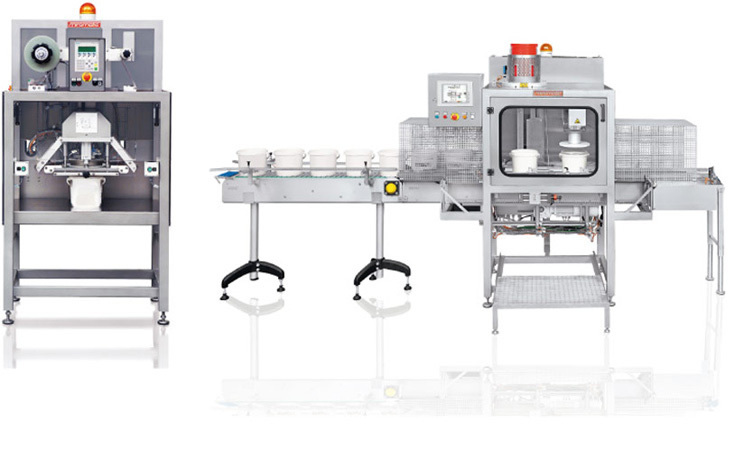 miromatic – Large container / handling stations (tubs) are semi-automatic system components for separating, filling, sealing and capping tubs and canisters and can be used individually or in combination. This enables the precise and modular realisation of your specific tasks on the basis of tried and tested stations. We would be delighted to integrate these or other handling stations in your production process. A common, unified transport system is only one reason for the reliability of each station and the interaction with the upstream and downstream processes. Buffer sections and synchronisation devices are standard here, and can also be combined with our stockpiling systems.